We had a big team meeting today where we went over our three year plan (can you say AWESOME things on the horizon?). 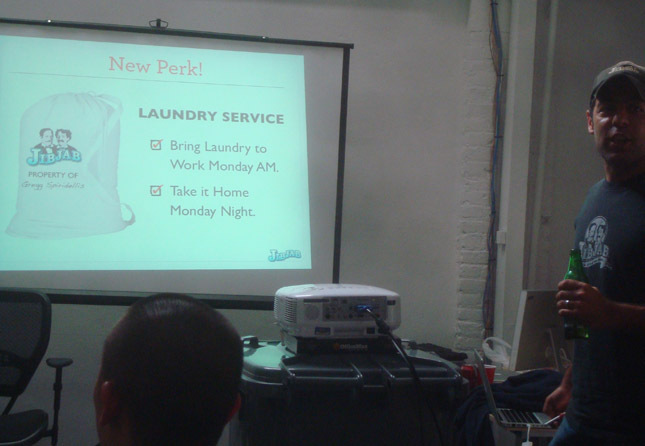 Not to brag (ok, we’re bragging a little) but right at the end of the meeting, Gregg instilled a new office policy. 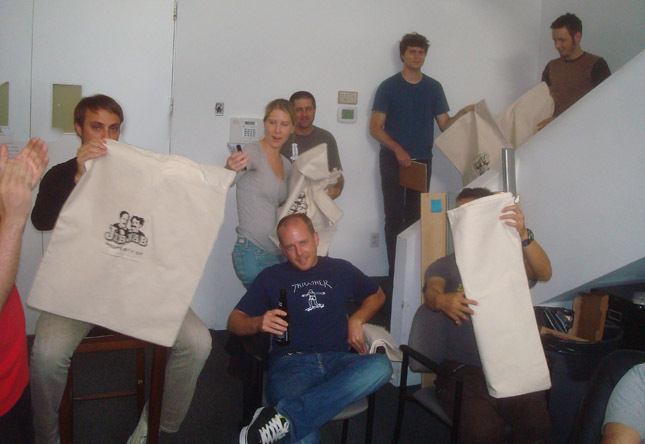 On Mondays, if JibJab employees bring in their dirty laundry, it will be clean by day’s end! It’s enough to make one want to immediately take off all their clothes and put them in a bag! Luckily, we held off on that urge. This entry was written by paulhanges and posted on July 1, 2010 at 7:36 pm and filed under Inside JibJab. Bookmark the permalink. Follow any comments here with the RSS feed for this post. Trackbacks are closed, but you can post a comment.